An oiled brown pelican floats in the Gulf during the height of the 2010 oil spill. Photo credit: Louisiana Governor’s office. It’s now almost three years later, and a year since the Senate voted by an overwhelming bipartisan majority to send the civil fines that will ultimately be assessed in this case back to the Gulf region. The start of the trial makes the potential behind this bill ever more real. One way or another—either through a ruling or a settlement—BP will be held liable for violations of federal environmental laws designed to protect the public from pollution. So far, the evidence has confirmed some things we already knew from the multiple investigations into the disaster. 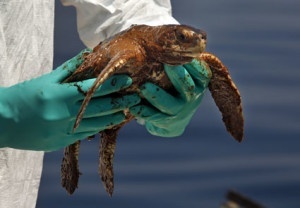 BP’s corporate mantra that “every dollar counts” put profits over safety in the Gulf of Mexico. The restoration needs of the Gulf are real, they are imminent, and they must be addressed now. But any final judgment or settlement that fails to adequately compensate for the losses and deter future recklessness would be an injustice for the Gulf and for the nation. The main point that Judge Barbier is considering in this portion of the trial is whether there was “gross negligence” on the part of the BP and the other defendants. It matters because the law punishes gross negligence more strongly than simple accidents. Under the Clean Water Act, a finding of ordinary negligence would result in a fine of $1,100 per barrel, while gross negligence or willful misconduct could result in a fine of $4,300 per barrel. Oiled sea turtle after the BP oil disaster. Photo credit: NOAA. Every company involved in the exploration and production of oil and gas has to act with reasonable care to prevent the very dangerous consequences that we now know all too well: loss of human life, damage to property, and harm to natural resources. An owner or operator who blatantly and indifferently violates that standard of care, and as a result causes damage, is liable for gross negligence. That’s why we keep hearing testimony about the industry standards, whether BP should have known their safety protocols were insufficient, and the condition and maintenance of the rig. Putting profits over safety can lead to risky decisions like those we’ve heard about so far at trial. Loss of well control — What actions prior to the accident led to the release of gas from the well? Fire and explosion — How did the gas reach the deck of the Deepwater Horizon and ignite? Sinking of the Deepwater Horizon — Why did the rig sink after the explosion and fire? Judge Barbier will consider the evidence about what led to each of these occurrences to determine how unreasonable the actions of BP and its codefendants were before, during, and after the explosion. 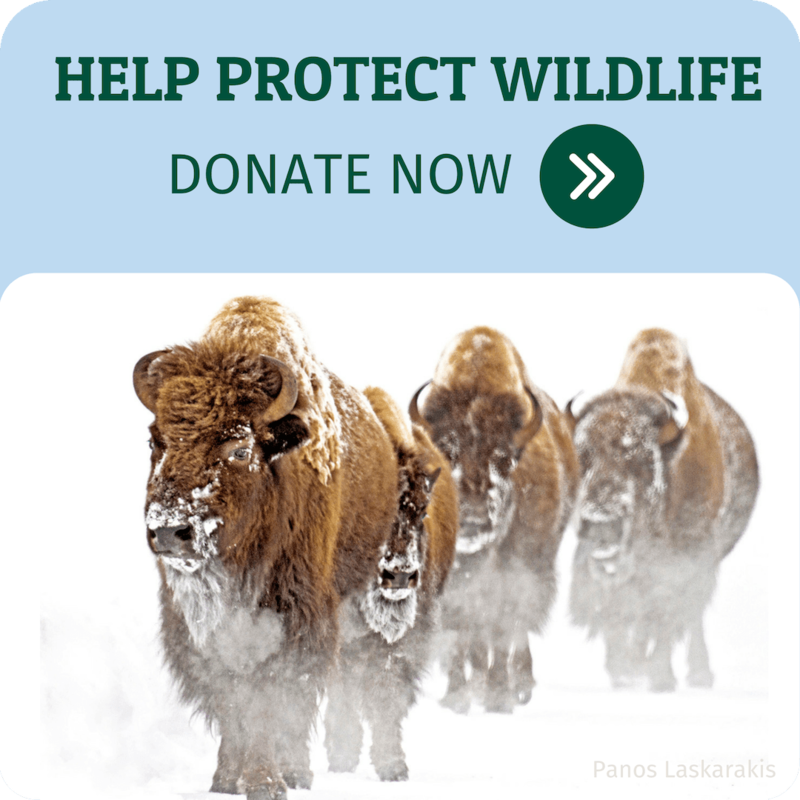 NWF’s legal experts believe that these factors will show that BP was grossly negligent. The second phase will focus on two key issues from the time the oil rig sank to when the spewing well was permanently sealed. Source Control — What BP, Transocean, and other parties did to stop the release of oil and gas, including allegations that BP and Transocean were not prepared to deal with the blowout and uncontrolled oil release. Quantification of Discharge – Both sides will present testimony on how much oil was released into the Gulf from the time the spill began until the well was capped. The Gulf ecosystem and its wildlife need restoration now. We hope to see justice for the Gulf in the form of maximum penalties under the Clean Water Act and the Oil Pollution Act that will then used for crucial ecosystem restoration. You can follow all the BP trial proceedings on the Mississippi River Delta Coalition’s Twitter and Facebook.